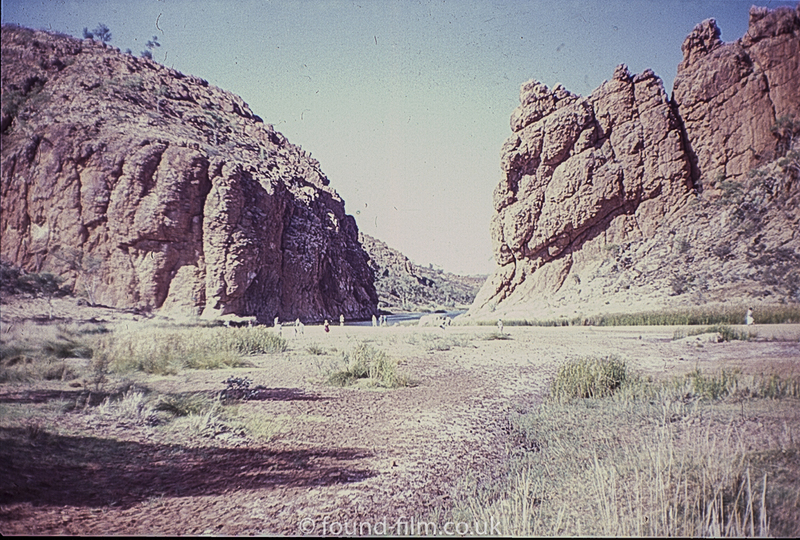 Although I’d love to go to Australia, it’s pretty unlikely that I’ll ever actually make the trip, but one of the good things about collecting old photos is the variety of different subjects that turn up, so I was interested a couple of weeks ago to find a box of colour slides with pictures of Ayres Rock. 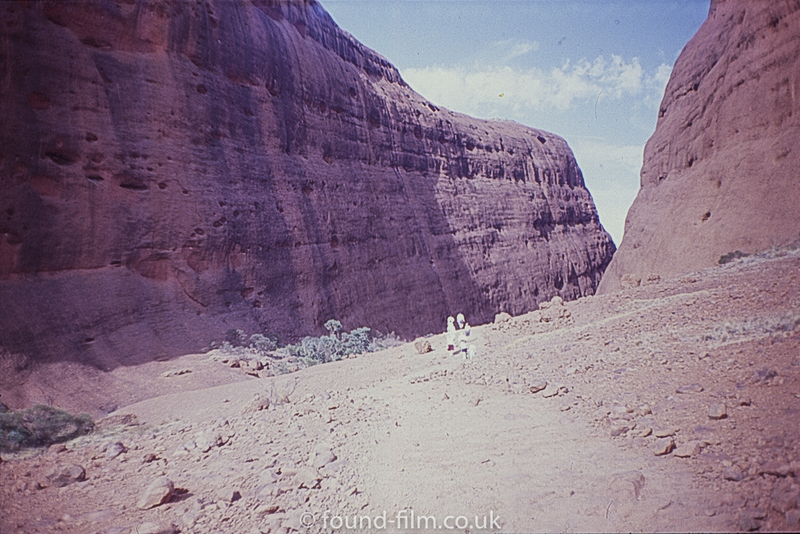 The pictures were all taken on Fujichrome film and were in a single slide box of the style supplied when the film was returned from the developing lab so I’m sure they were all taken on the same trip. In total there are about 25 pictures in the series – which were all taken in May 1992 – but some are very similar and therefore I’ve not included them here. 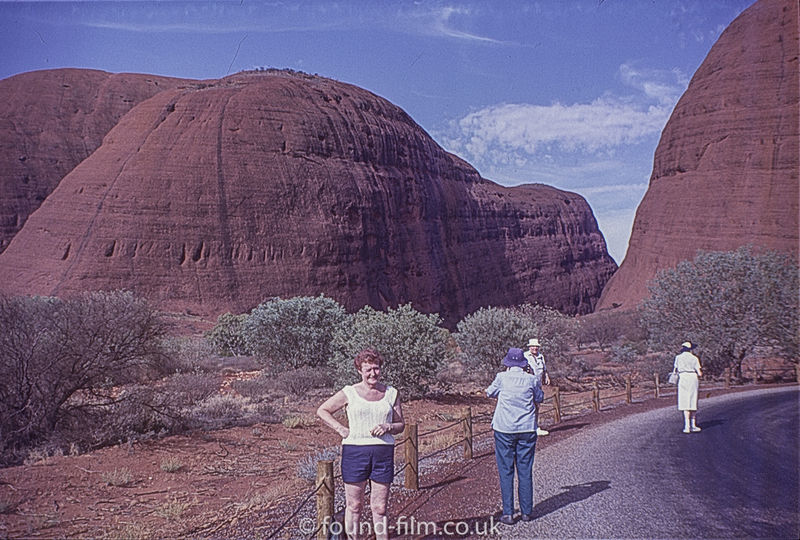 I’m sure nearly everyone will recognise Ayres Rock, which is one of the Iconic images of Australia, along with the Sydney Opera house and bridge, but I think the thing which struck me most about the pictures was how they show the size of the Rock. 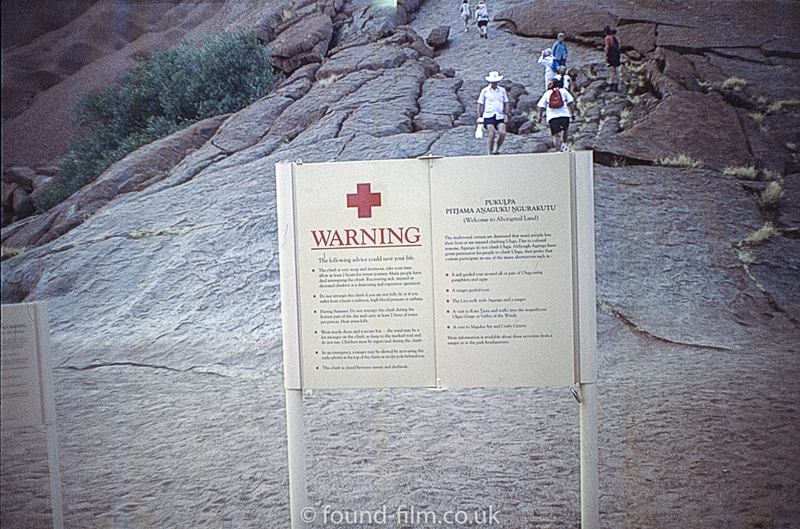 At first glance I didn’t see it, but once the images were scanned it’s possible to see that on several of them there are tiny people, almost lost in the scrub, with the rock towering over them. 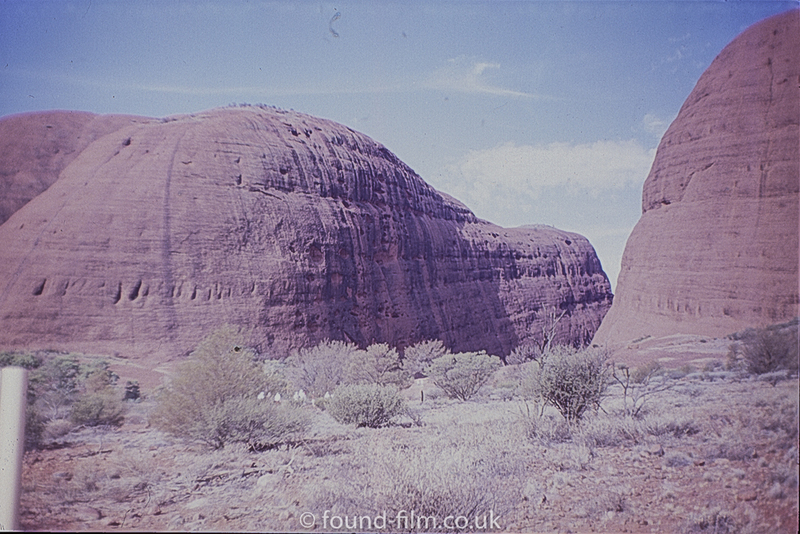 A bit of research told me that the rock at the highest point is 350M tall and that the original aboriginal name is not Ayres Rock, but Uluru. 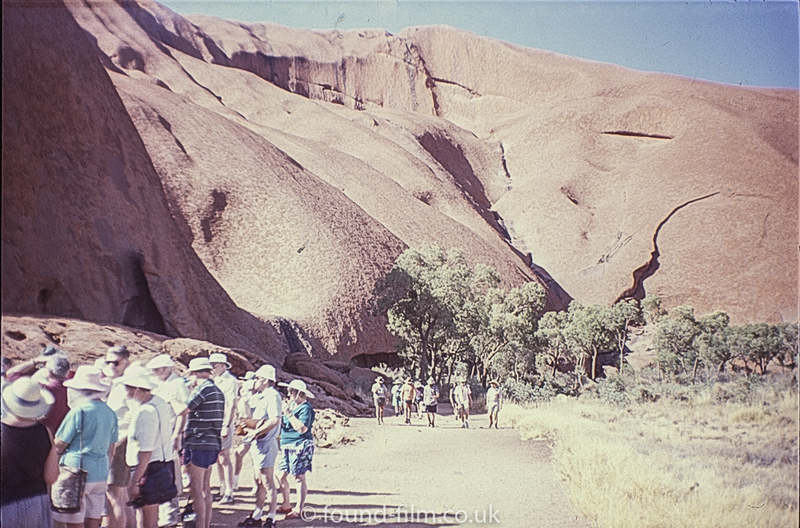 The size is also emphasised by the fact that the road which runs around the perimeter of the rock is 10Km long! 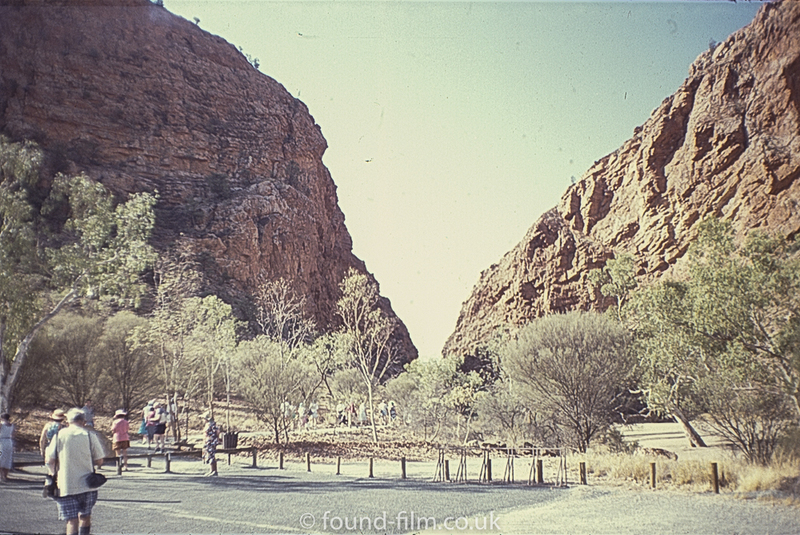 As I said at the beginning of this post, it is unlikely I’ll ever go to visit Austrialia or take Pictures of Ayres Rock myself, but one of the marvellous things about film is that there is a direct physical connection between it and the picture you are viewing – I may not go to Austraila, but I own a film which has been there and was in the camera when the pictures were taken. 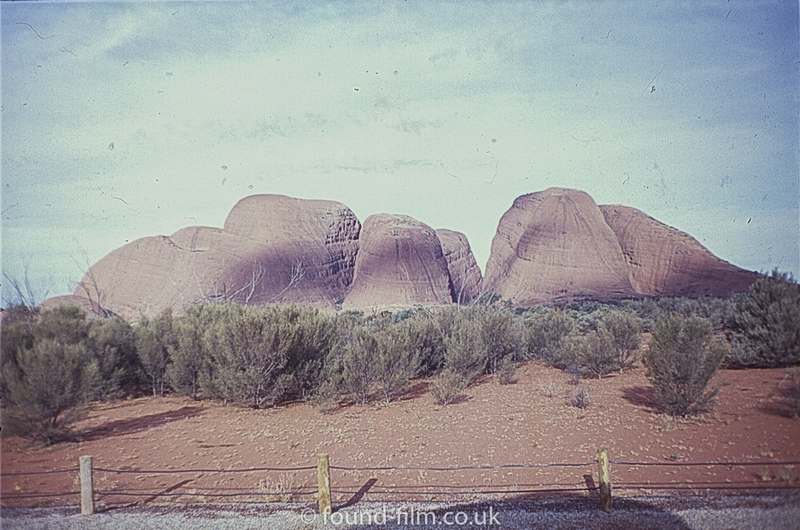 Photos 3, 4 and 5 are at Kata Tjuta. 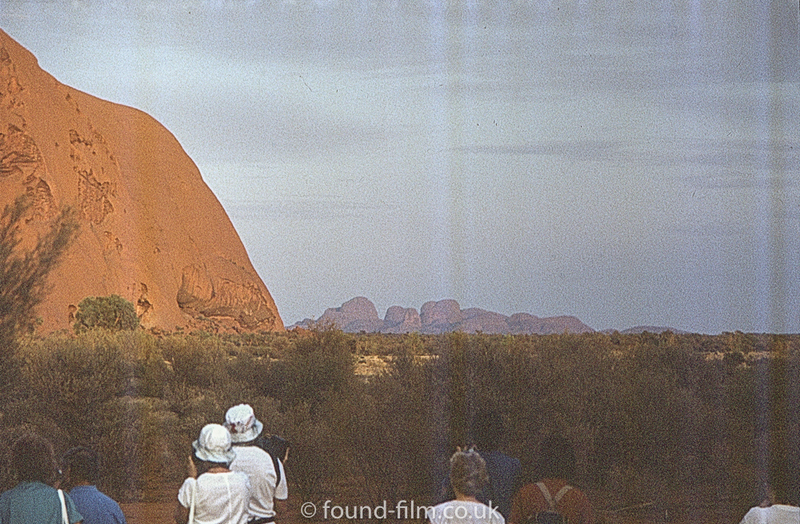 Photo 8 is most likely at sunrise as Kata Tjuta in the distance is to the west of Uluru.